Although thousands upon thousands of well-meaning Americans on Facebook and Twitter are asking people to pray for the 3rd Battalion, 5th Marine Regiment, the grunts aren’t suffering any casualties in Afghanistan. They’re home at Camp Pendleton, preparing to deploy to sea. The latest hoax seems to have broken out on Facebook in late February before dying down in mid-March. It has come roaring back in recent days, however, triggering a flood of social-media support for the “Darkhorse” battalion that once suffered heavy losses in Afghanistan but isn’t actually in combat now. 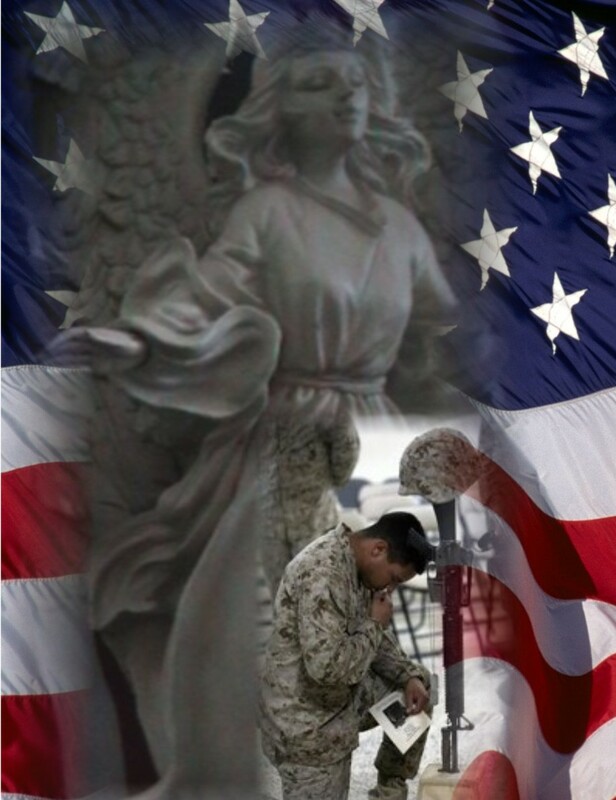 “We are asking everyone to say a prayer for ‘Darkhorse’ 3rd Battalion, 5th Marines and their families. They are fighting it out in Afghanistan and have lost nine Marines in four days. Please repost this,” reads the typical message being circulated on social media. Not sure what to make out of this now. I did a search for more information on this prayer request I received by email. I remembered 9 in a week but not recently so I did some checking. One of the "Marines" listed as killed this week was from the UK and he died in July. Matthew Weikert was in the Army and so was Chase Stanley. A bomb disposal expert who saved hundreds of lives in Afghanistan has been killed by a Taliban bomb. Staff Sergeant Brett Linley, 29, died while clearing explosives on Saturday and was hailed by his military bosses as a 'true hero'. In five months on the front line with the Royal Logistic Corps, he defused 100 bombs, on one occasion dismantling three in just one hour. Justin B. Allen, 23, of Coal Grove, Ohio; sergeant, Army. Allen was shot and killed July 18 during a firefight in the Zhari district of southern Afghanistan's Kandahar province, on the Pakistani border. He was assigned to the 1st Battalion, 75th Ranger Regiment at Hunter Army Airfield, Ga.
Justus S. Bartelt, 27, of Polo, Ill.; staff sergeant, Marine Corps. Bartelt was killed July 16 while supporting combat operations in southern Afghanistan's Helmand province, on the Pakistani border. He was assigned to the 2nd Battalion, 6th Marine Regiment, 2nd Marine Division, 2nd Marine Expeditionary Force at Camp Lejeune, N.C.
29, of Jacksonville, Ill.; assigned to 1st Battalion, 187th Infantry Regiment, 3rd Brigade Combat Team, 101st Airborne Division (Air Assault), Fort Campbell, Ky.; died July 17 in Paktika province, Afghanistan, of wounds sustained when enemy forces attacked his unit with an improvised explosive device. Soldier is killed by an improvised explosive device in Afghanistan. Chase Stanley was eager to join the Army. When he was a teenager, his bedroom was covered in Army posters and he often sported an Army T-shirt, said his sister, Britney Stanley. Even before he signed up for boot camp, he would go to extra training sessions. Growing up in the rugged terrain of the Capell Valley area of Napa, Stanley enjoyed hiking, fishing and hunting with his father. After graduating from Napa High School, he enlisted at age 17, along with two friends. 21, of Rota, Marianas Islands of the Pacific; assigned to 2nd Battalion, 6th Marines, 2nd Marine Division, II Marine Expeditionary Force, Camp Lejeune, N.C.; died July 16 while supporting combat operations in Helmand province, Afghanistan. I am not sure who did this or why they did it but they did it. the message spread if more could pass it on. It looks like the "this week" was back in October and had different names. • Sgt. Ian Tawney, 25. The squad leader was killed Saturday by an improvised explosive device while on a foot patrol, Marine officials said. He enlisted on March 14, 2005, and had deployed to Iraq in 2007. • Lance Cpl. James Boelk, 24. The infantry rifleman was killed by an IED while on a foot patrol last Friday, officials said. He was on his first combat deployment. • Lance Cpl. Joseph Lopez, 26. The infantry rifleman was killed by an IED while on a foot patrol last Thursday, officials said. He was on his first combat deployment. • Lance Cpl. Alec Catherwood, 19. The infantry rifleman was shot to death while on a foot patrol last Thursday, officials said. He was on his first combat deployment. • Lance Cpl. Irvin Ceniceros, 21. The machine gunner was shot to death while on a foot patrol last Thursday, officials said. He was on his first combat deployment. • Cpl. Justin Cain, 22. The machine gunner was on his first combat deployment. • Lance Cpl. Phillip Vinnedge, 19. The anti-tank assaultman was on his first deployment. • Lance Cpl. Joseph Rodewald, 21. The machine gunner was on his first combat deployment. • Pfc. Victor Dew, 20. The anti-tank assaultman was on his first deployment. The list mentioned 9 from the 3/5 and there are 12 names listed. 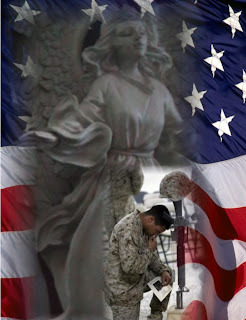 prayers for all who have made the ultiment sacrifice and their families are given every day. I hat thought article was by Dan thats why i refered to him . Will consider this one of my lucky days. Started reading your blog. intend to follow it. It's ok Dave and thank you for the compliment. There is a serious breakdown in the higher command in this unit it has been mauled for the last 2 years or more and this is from poor planning and poor leadership to lose this many brave marines, my uncle was in the 5th marines on Iwo Jima. Why isnt there any media about this and that their unit is heading into more danger. Politics are killing our troops. Sgt Dave Duncan U.S. Army retired. Thanks for the thorough research and accurate information. I see so many posts that are inaccurate or downright false (which makes them spam in my book) that I will not re-post anything unless I know the source to be true or I check out the information. More times than not these posts are inaccurate and many are borderline spam. A few are even fraudulent and Phishing or extortion! I wish more people would take a few minutes to do the research. We could eliminate a ton of trash from the social networks. That is the truth! So much that gets passed around through emails and Facebook is BS. The only way to stop it is to do exactly what you just did. Telling the truth is a very lonely thing to do these days.